How long have you been with the Mokulele Surf Team? I just joined the surf team this summer (2017). How old were you when you started surfing? Well, my mom went surfing on her due date ( I was born a a week later) so pretty early on. I really started catching my own waves at about 7 though. What do you love most about surfing? I love that I’m in control of what happens and I can draw any line that I want. The possibilities are endless. Shane Dorian and Andy Irons are my 2 favorite surfers. Uncle Shane is such a well rounded surfer and he’s really influenced the sport by doing things that most people wouldn’t have done, like quitting the tour to become a big wave surfer. And Andy because he could surf a 2 foot way the same way he surfed a 20 foot wave. I’d have to say Banyans because there are so many sections and different places in the wave that can really help you improve your surfing. South Kona, Hawai’i…born and raised. Everything that could be going on, is irrelevant once you jump in the water. Its just you and the ocean. Carissa Morre, because she is a very genuine person, and through out all of her victorys she still remains humble. Banyans, Mainly because it’s my home break and I got to learn it pretty well. It has perfect sections for all types of surfing! I donbt remember exactly how long I’v been on the team for but I do know I was lucky enough to be the first one to be selected for this amazing team! I have been surfing with my dad my whole life, but started surfing by myself at eight. I look up to my grandpa (papa) and Cody young. My favorite break is Ho’okipa, because it has three main peaks and an awesome community. I grew up in Makawao. If I’m not surfing I am either doing my school work or baking. I have been with the Mokulele surf team for about a year now. I love the sound and feeling of the ocean. Honulua Bay. Because, it’s the point break in Maui and Lahaina Harbor. Summer Macedo, born and raised in Lahaina, has been surfing since the age of 2 years old. 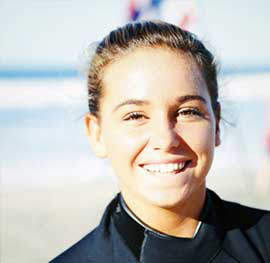 She is a competitive surfer at the age of 14, with several national results in Surfing America and NSSA National Championships. She also has state title in HSA Girls U14. Summer’s home breaks include Lahaina Harbor and Honolua Bay. When she’s not in the water, Summer is singing and performing with her longtime friend and guitarist, Shawn. She loves to draw, paint, and read in her free time. Attending Lahainaluna High School, Summer also excels with her school work. With a busy schedule, she is truly perfecting the balancing act. Coached and motivated by her mom and dad, Summer fuels her passion and surfs almost every day. 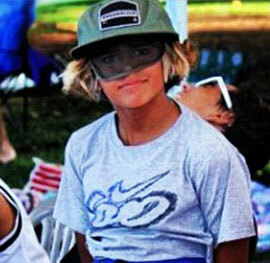 Her little brother, Ocean Macedo, also pushes her to become a better surfer. Summer has a deep respect for the beautiful place she lives and she’s thankful for the life she has been given. Summer is one of the original members of the sponsorship of athletes program, Summer has grown into a mentor to the other Mokulele team riders. Summer and her brother Ocean joined the team in 2013. Both have risen to win National titles. 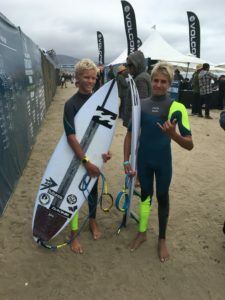 Summer in particular has excelled to the height of competitive surfing winning a ISA Junior world title at age 15. She has recently been working with a variety of trainers and coaches to continue improving in every aspect of her game, as she approaches the transition from a Junior Pro into the Women’s Pro Qualifying series full time next year. Also known as the “Women’s QS”. Summer recently participated in the Women’s QS 6000 and the Junior Pro in Cabo San Lucas, Mexico. She placed a respectable 9th in the Women’s QS side of the event. But it was in the Junior Pro, among some of the best Juniors in the world, where Summer broke through to capture the win after finishing runner-up last year in the same event. 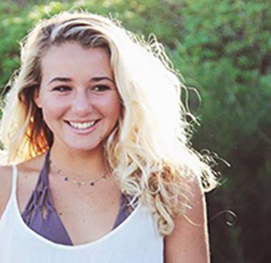 Now back in California for Surfing America Championships and NSSA Nationals, Summer just won the Surfing America Championships Girls U18 National title at Lower Trestles, which comes with the prestigious Governor’s Cup. The highest Amateur National trophy in the U.S. for Girls and Boys Under 18. Summer is competing in a few more Women’s QS 6000 (highest rated World Surf League qualifying events) for the remainder of 2017, but her main goal is to qualify for the World Surf League Junior World Championships held in Australia early next year. 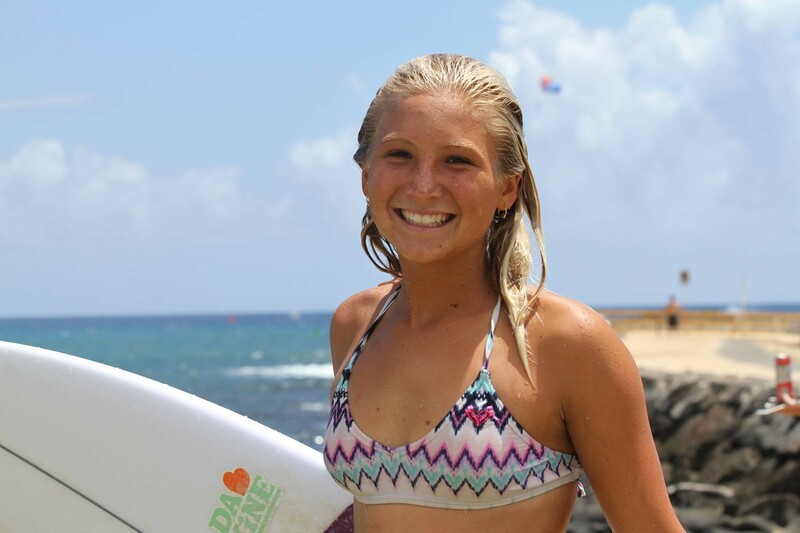 Her last chance to qualify, will be at the Turtle Bay Junior Pro, on Oahu, in October. My mom said I was surfing in her belly, I moved around so much. There’s nothing else in the world that makes me feel so good. I love competing, and I love free surfing with my friends. 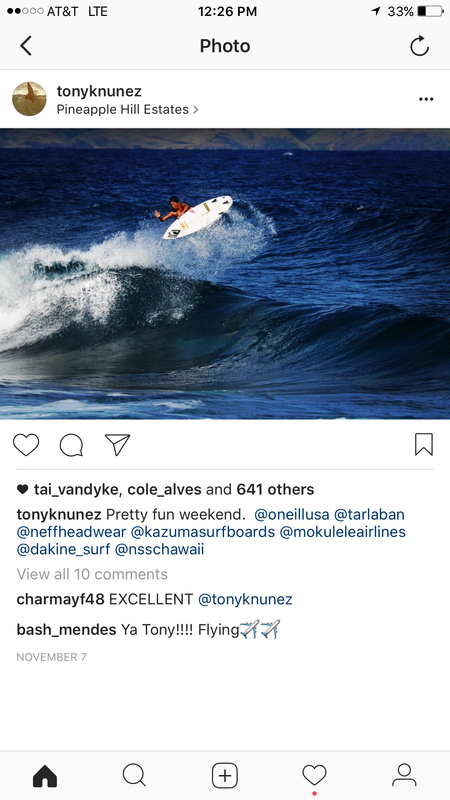 Shane Dorian is great at answering all my questions and helping me out. Rainos Hayes is always there for me, helping me figure things out in my major competitions. I love to hang out with my friends, camp with my family, and if it’s flat, I really like playing poker. I joined the team in the fall of 2013, and have been super stoked ever since. My name is Cody Young and I am a 17 year from Maui, Hawaii. I started surfing when I was 9 years old. My sponsors are Mokulele Airlines, Quiksliver, Surface Sunscreen, and Prolite. Once I realized how much I love the sport of surfing I knew it would be a main focus in my life and that there would be many years of competing ahead. I have compete locally, nationally, and worldwide. I have been on the Hawaii Surf team for 3 years now. 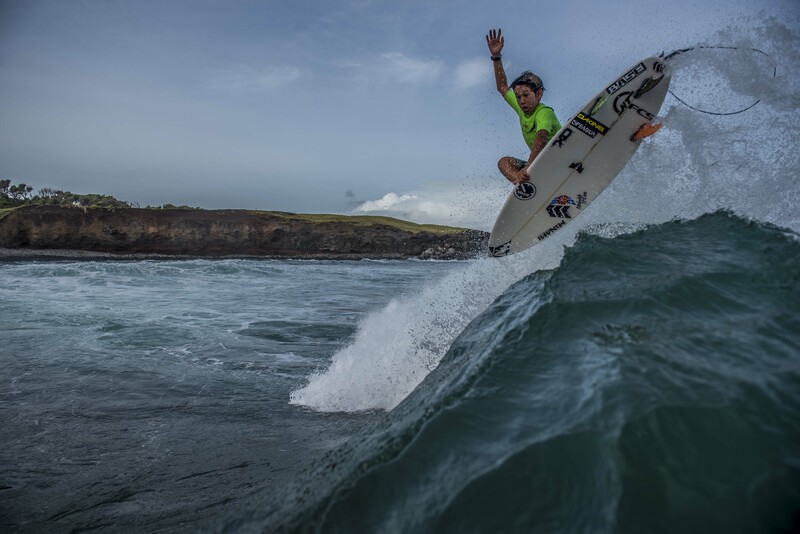 In 2014 Team Hawaii competed in the ISA (International Surfing Association) world championship which was held in Equator, 2015 we competed in Oceanside, California, and 2016 we competed in Portugal. As a team we won the gold medal in 2014 and then in 2015 and 2016 we came home with the bronze. It is such an honor to represent Hawaii. My personal best results in the world championships were a 7th place finish in October 2016. The summer of 2016 I won the national title at Huntington Beach California. This is something I always wanted to accomplish and it was amazing. 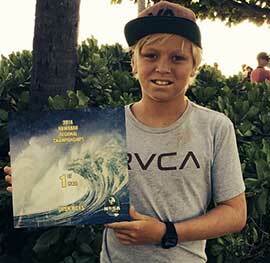 Recently I placed 2nd place for the season in the Hawaii/Tahiti region in the Junior WSL (World Surf League). This has qualified me to travel to Australia to compete in the Junior WSL world championships this January as well as The Triple Crown. I am a senior in high school this year and after I graduate I plan to work hard to qualify as a Pro for WCT (World Championship Tour) and also take some college courses while traveling as well. I was 6 when I started doing the shorebreak classic in Kailua. I look up to John John Florence and Mick Fanning because they rip. My favorite is Ehukai sandbar because I like pulling into the glassy little barrels and then you get pounded. I skateboard and am really into jiu jitsu. I got on the surf team last year at the Lahaina contest. I was stoked! Lahaina Harbor, because the left is super fun. My name is Dante Silva. 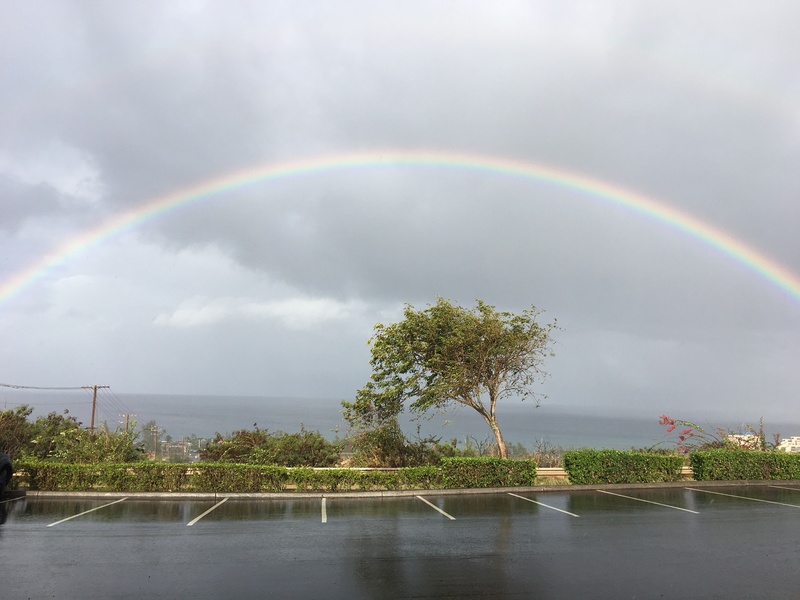 I live in Maui, Hawaii and have lived here all my life. I started surfing when I was 10 years old and have been doing so every day since. I consider my self a passionate and dedicated surfer who is working hard to achieve my dreams. I love how fun and unpredictable it is. What do you love most about surfing? It’s so much fun! Rafi was born on Maui, Hawaii; the 15th of August, 2006. He is nine years old. His middle name was chosen as a reminder of the Hawaiian Kahili (ginger) plant that bloomed at the arrival of his birth. He learned to swim at age 2 and took to boogie boarding at age 4. 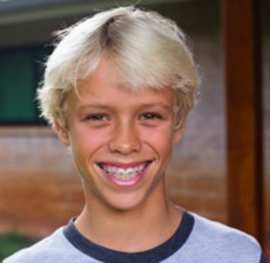 He began skateboarding at 5 and continues to skateboard regularly at the Paia Youth & Cultural Center. 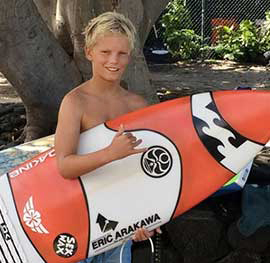 He expressed an interest in surfing at age 7 and began organized training 2 years ago with his coach Jud Lau. 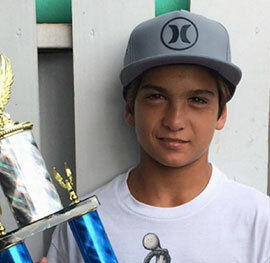 Rafi progressed in surfing quickly and was soon winning Hawaiian Surfing Association (HSA) sanctioned competitions after only 6 months of surfing. He finished First Place overall in the Under 10 (U10) Boys Division in the Maui Chapter of the HSA his first year, 2014-15 season. 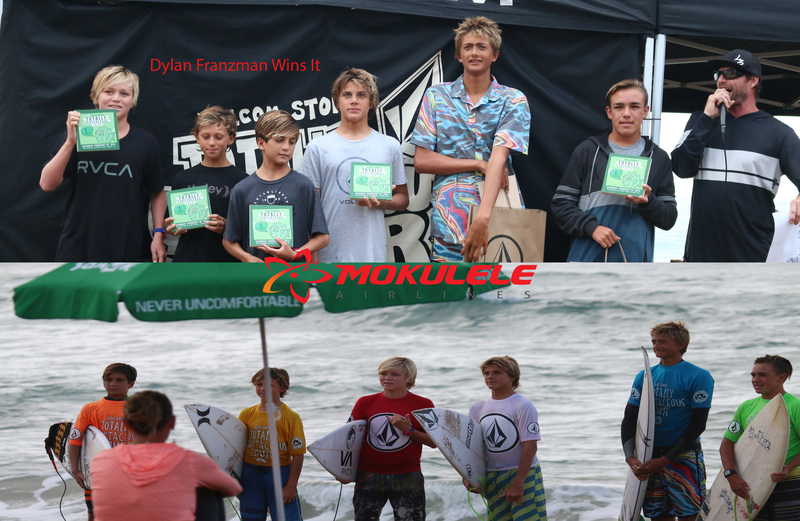 This season, he finished; once again, in First Place overall in the U10 Boys Division for the 2015-16 surfing season. He entered the U12 division in the last contest and made the finals! 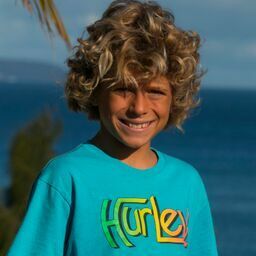 Rafi admires pro surfers especially Ian Walsh, John John Florence, and Matt Meola. He is in the third grade at Haiku Elementary School and excelling in his studies. Rafi likes both physical education and math best, and is well liked there. He enjoys bicycling, drumming and hiking too. Kai Luna Paula is 13 years old from Hana, Maui. Surfing means everything to me I surf everyday and try my hardest to improve. Aloha, my name is Kalaokahaku Willard. I am apart of the Mokulele surf team. I live on the island of Maui and I can’t go a day without surfing. I’ve been surfing ever sense I was four and a half years old. I’ve lived on Maui my whole life, since the island is surrounded by salt water I love the ocean. When there are no waves on my island I like to hop over to another island that actually has waves- of course on Mokulele! If the whole state is with out swell I cross train to surf better. I started competing when I was 8 years old, didn’t think I’d be going this far into this life style. I mostly now like to make edits of my friends and I surfing together. I was 8 when I started doing the shorebreak classic in Kailua. 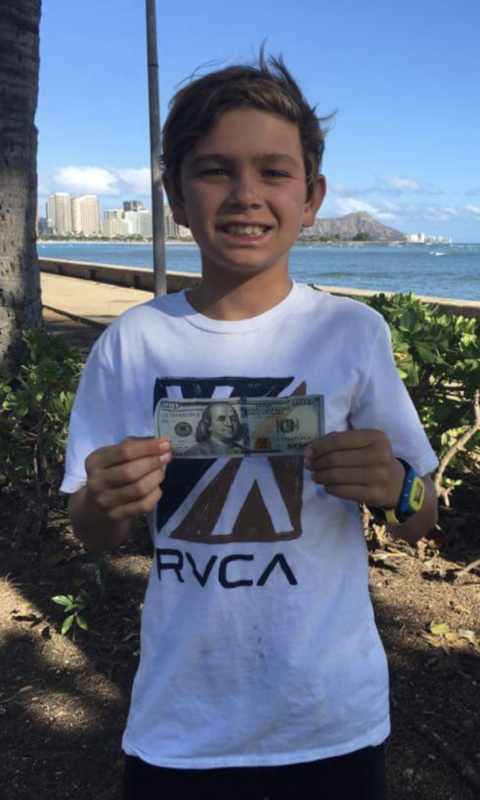 My name is Levi Young and I am a 12 years from Maui, Hawaii. I started surfing when I was about 8 years old. 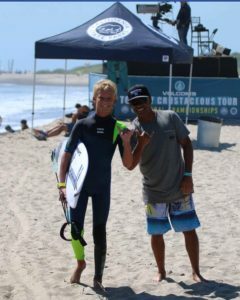 I always looked up to my big brother Cody Young and what a great surfer he is. I have been competing for several years now in local and national competitions. In the last few years I have pulled off some great results but the best by far was winning the national title at Huntington Beach, California in 2015. It was the most amazing experience ever to win this and to be surrounded by all my family and friends from Hawaii. Being carried up the beach by my peers and having the Hawaiian flag around me was the best thing ever. My sponsors are Mokulele Airlines, Quiksilver, Dakine, Like Poke, Dooma Photos, and Sunski sunglasses. I love surfing and want to continue to excel and get better all the time at this awesome sport. My big goals are to work hard in school and to compete in Junior Pro events over the next couple of years. What do you love most about surfing? Being in the ocean and sitting out waiting for next wave. fishing, Civil Air Patrol, and wrestling. 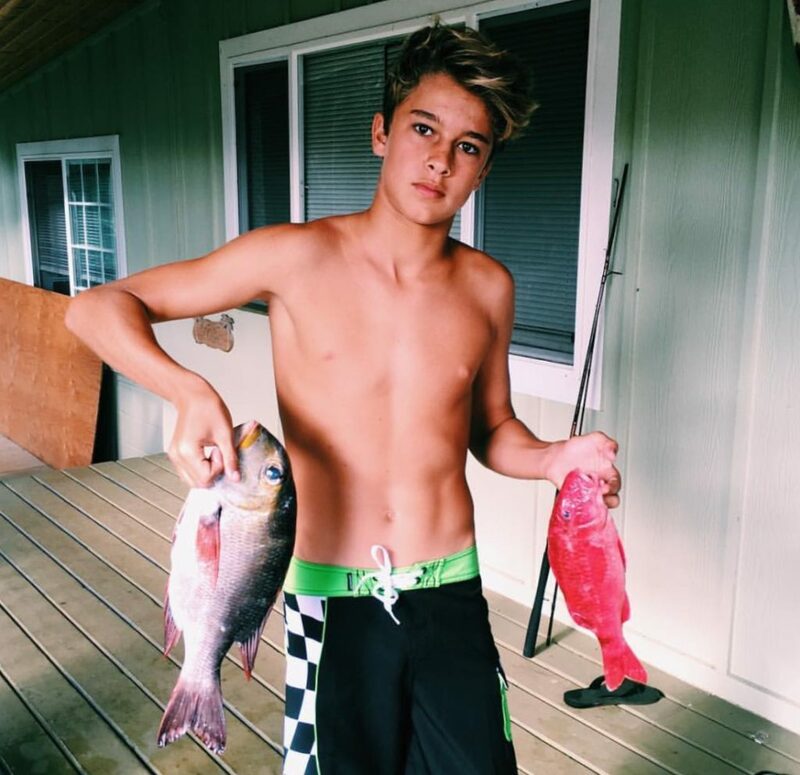 Ocean was born in Maui, October 2002. Raised in Lahaina, this regular footer has been on a surfboard since he was a year and half old. 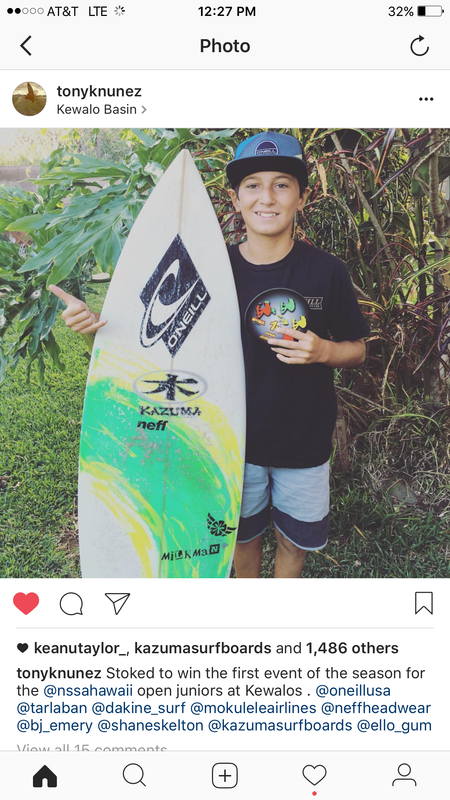 At age 12, this Sacred Hearts School 6th grader has surfed pretty much every spot around the Island of Maui with the exception of Jaws and La Perouse Bay. Ocean’s favorite wave is Honolua Bay. His next favorite is Lahaina Harbor. 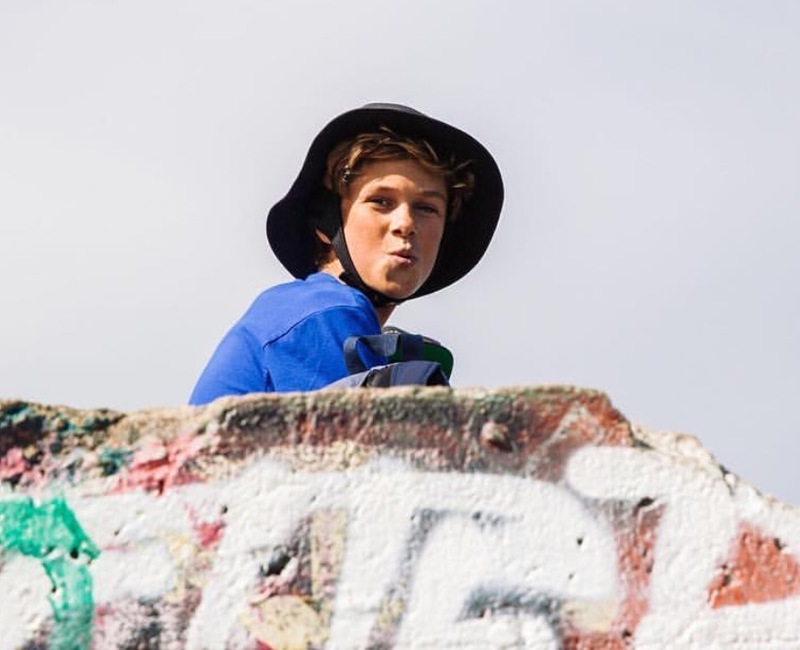 Competing in the local contest scene since the age of 6 with countless finals under his belt, Ocean embarked on the NSSA Hawaii tour at the age of 8. 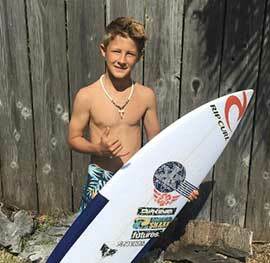 The NSSA circuit has allowed him to surf spots around the Island chain and California competing against the best in the State and the best in the Nation. 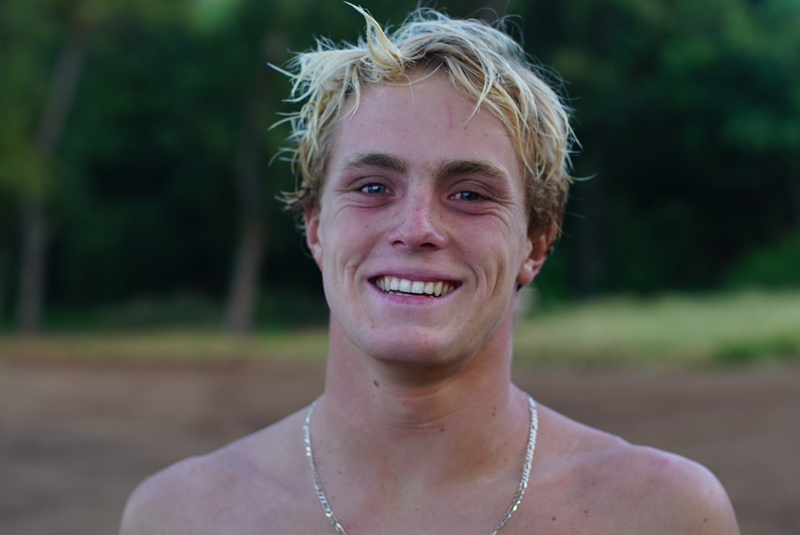 He has experienced and excelled at the famous breaks such as Haleiwa, Sunset, Velzyland, and Ala Moana Bowls. 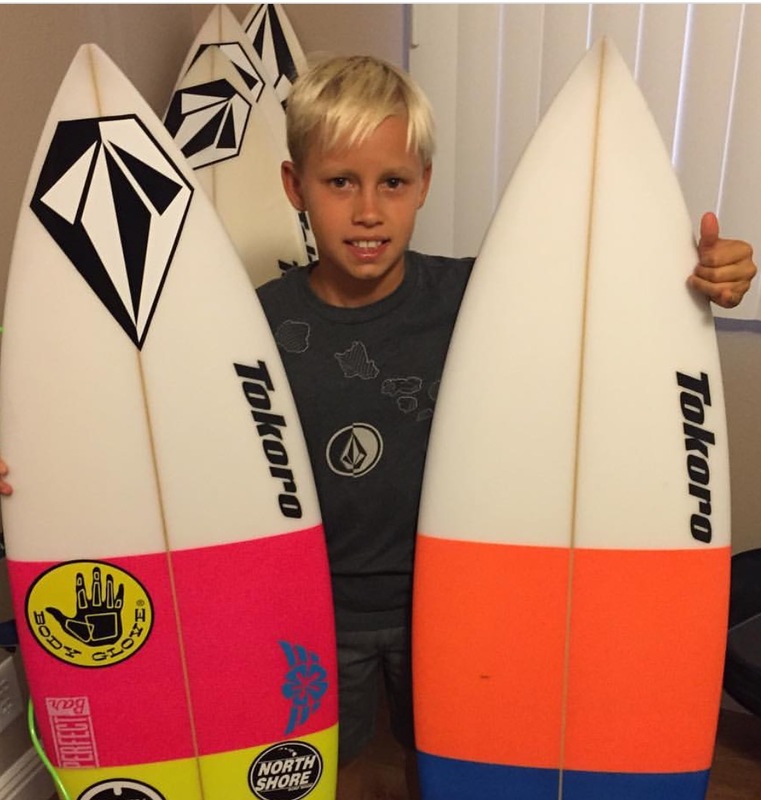 His most recent results include a 2nd Place at the State Championships at Ala Moana Bowls, and a 2nd Place podium at Surfing America Nationals at Lower Trestles. 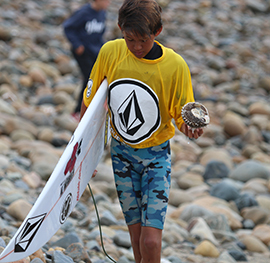 As part of one of the most competitive age bracket in the contest scene (the 12 & Under division), Ocean has proven to be a contender in all conditions. “Ocean may as well have gills considering the amount of time he spends in the water” – Sean Riley, FreeSurf Magazine. Ususally with his sister Summer and his Maui buddies, Ocean is in the water everyday wherever the most fun spot has to offer. His quiver includes Brian Bulkley’s short boards and an assortment of soft tops, long boards and Sup’s. When Ocean’s not wreaking havoc at Lahaina Harbor , hanging ten at Launiopoko or leading a grommet take over at Honolua Bay, you can probably find him below the surface slaying uhu with papa Macedo. From shore break shenanigans to death defying Sunset Beach, the Pacific is Ocean’s domain. How it feels to be on the wave, it’s the best thing God created. Shane Dorian, Jeromy Hansen, and My Dad! 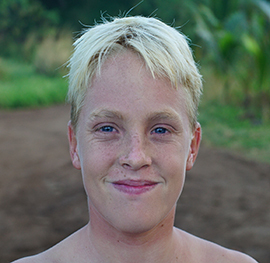 My name is Luke Heflin, I’m 13 years old and I live on the West side of the Big Island in Kona. I started surfing when I was three years old with my dad. Most of my surfing is done at Banyans, but in the winter time I love to explore and hike to some of my favorite surf spots. When the waves are small, I really enjoy diving, fishing, dirt bike riding and working on our avocado farm with my family. My biggest influences in my surfing are my Dad and Shane Dorian. Both of them are great teachers and are always pushing me to improve. Currently, I am competing at a local and state level in HSA, HQS, and NSSA. I have competed in the State Championships for the last three years. 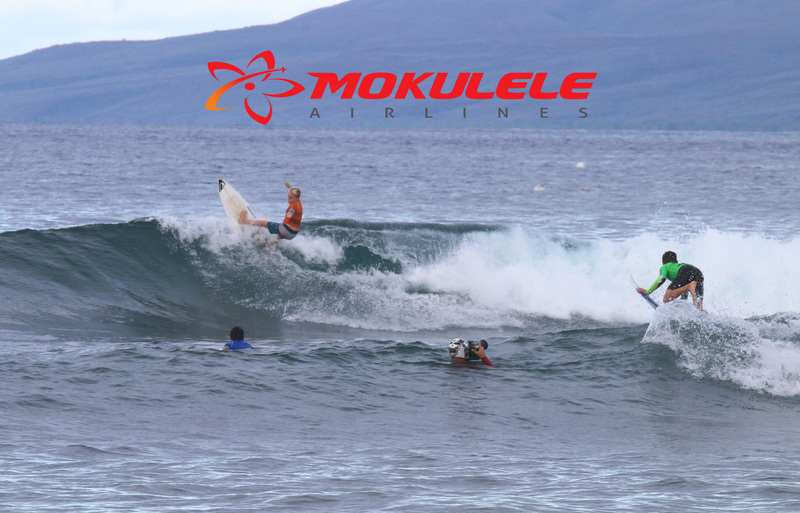 My current sponsors are Mokulele Airlines, PELAGIC clothing, BretBoards by Bret Marumoto, More Than Sport, and DaKine. This year, I have spent a lot of time with my youth group and the guys at More Than Sport traveling around Hawaii Island to give back to our community. Also this year, with the training help of Chris Lieto, I was able to compete and complete my first triathlon. I love getting airs and getting barreled. I love being in the ocean and enjoying everything about it. I look up to my brothers and JohnJohn. The feeling of pure freedom when I’m on a wave! What is your favorite after surf session meal? 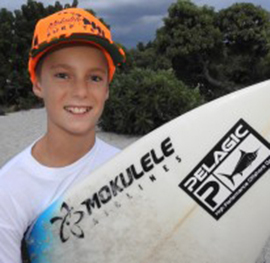 Why do you like being a part of Mokulele’s Surf Team? Andy Irons, because of his style and power! Pipe, because it is the biggest stage in surfing! On the Northshore of Maui. If you aren’t surfing, you are…. Fishing, diving, boxing and catching up with my school work. How long have you been with Mokulele Surf Team? I’ve been a part of the Mokulele Surf Team for 2 years!